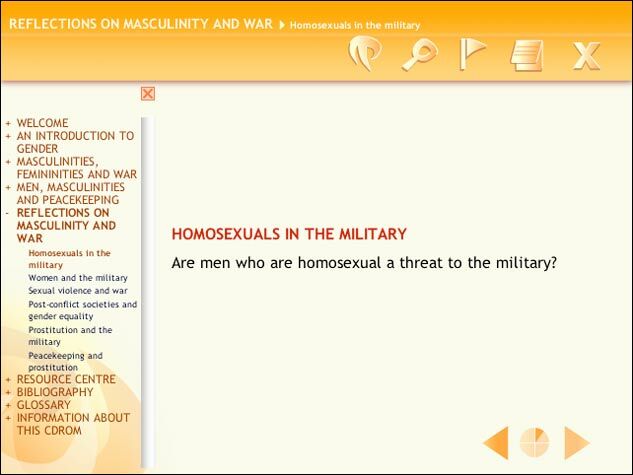 This course has been produced for the Africa Programme of the University for Peace by Fahamu. 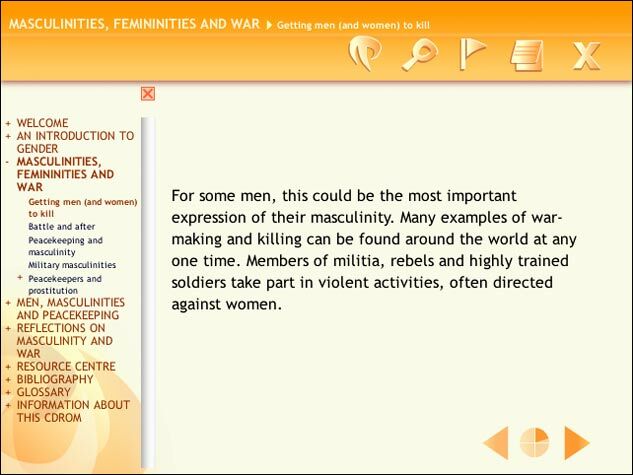 The aim of the CD-ROM is to provide curriculum resources on gender, violence and conflict, with special reference to masculinities and war, for use by academics based in Africa. 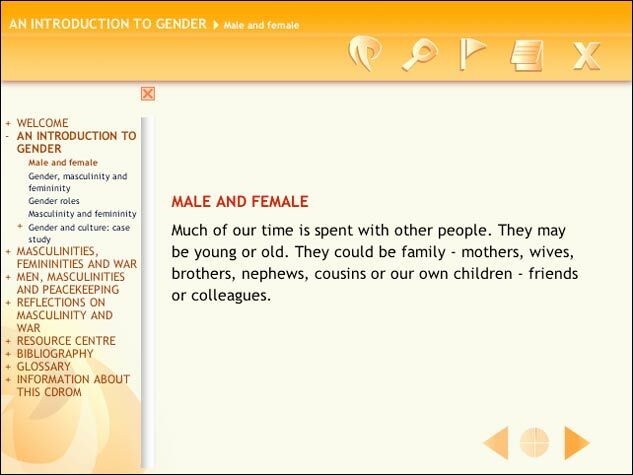 The CD-ROM contains an introductory course on gender, violence and conflict written by Paul Higate, Lecturer in Social Policy in the School for Policy Studies at the University of Bristol, UK, as well as video footage of an interview with Cynthia Enloe, Professor of Government and Director of the Women's Studies Program at Clark University, USA. It also contains a resource centre with links to relevant websites, further material on the main course themes, human rights treaties and documents, and some further information about the University for Peace Africa Programme.